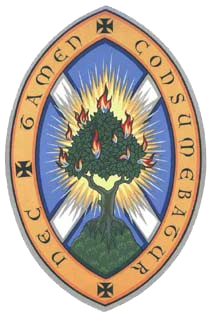 This year, our Autumn Lecture series, held jointly with our neighbours, Greenbank Parish Church, takes an interfaith theme. The lectures are held on 4 Sunday evenings in September, and we decided this year to invite speakers from different religious traditions to speak on the theme, ‘The joys and challenges of being a (Christian/ Jew/ Buddhist/ Muslim) today’. The need to share and understand different faiths within our country and world today has rarely been more important. Bring a friend! Where? Braid Hall, Morningside Parish Church (enter through the glass doors facing on to Braid Road). When? Sundays at 7 pm. Refreshments are served from 6.30 pm in the St Matthew Hall. Sunday 3 September: Roman Catholicism. 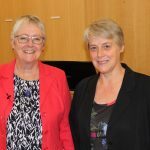 Dr. Mary Cullen, former officeholder in SCIAF (Scottish Catholic International Aid Fund), and editor of the Scottish ecumenical monthly Open House. She has recently completed a Ph. D. in ‘Receptive Ecumenism’, and its application to the relationship between lay and ordained in the Roman Catholic Church. 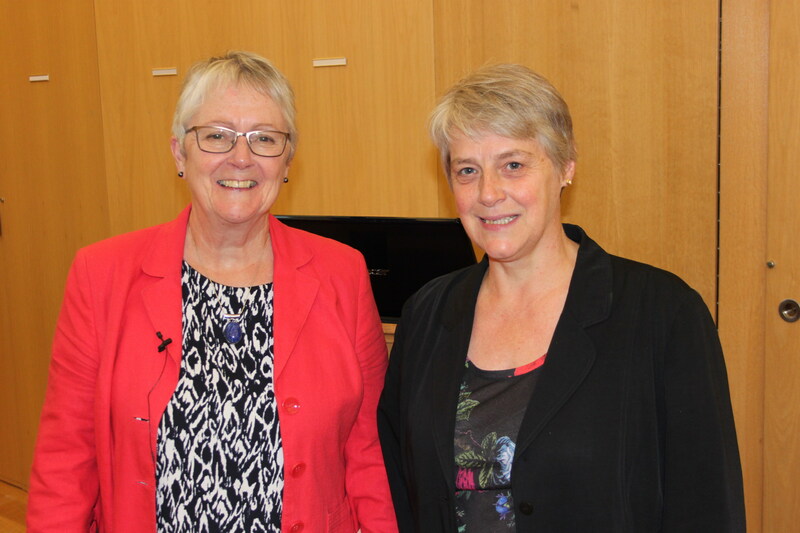 Dr Mary Cullen, with Jennifer Stark, Associate at Morningside Parish Church, following her lecture on 3 September. Sunday 10 September: Judaism. 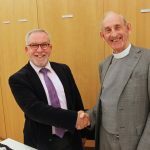 Rabbi Mark Solomon, lecturer at Leo Baeck College in London, honorary Jewish chaplain at the University of Edinburgh and Co-Chair of the London Society of Jews and Christians. 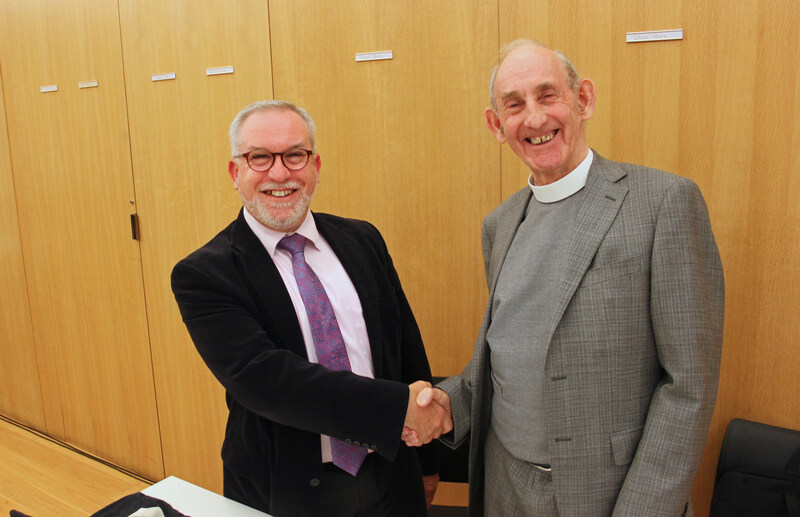 Rabbi Mark Solomon, with Dr. John Stevenson, Locum Minister at Greenbank Parish Church. Sunday 17 September: Buddhism. Bryan Webb, a practising Buddhist in the tradition of Thich Nhat Hahn. Bryan leads courses in mindfulness, and on meditation for Christians and Buddhists together. He rightly sees a lot of mysticism in Jesus as well as in the Buddhist traditions. Sunday 24 September: Islam. Professor Carole Hillenbrand, Professorial Fellow in Islamic History, University of St Andrews, and the first non-Muslim recipient of the King Faisal Prize in Islamic Studies.